Note: Rs 10/km will be charged after 251 kms. Note: Rs 14/km will be charged after 251 kms. Tirupati is a pilgrimage city in the extreme southeast of Andhra Pradesh in Chittoor district. It is often referred as a synonym to Tirumala(22 km from Tirupati). Tirupati offers a magnificent religious and natural delight to devotees as well as tourists.Apart from Lord Venkateswara Temple in Tirumala,Varahaswami temple,Tiruchanur temple of Goddess Padmavati,	Govindaraja temple,	Avanakshamma temple,etc.are the important temples in Tirupati.Other than these,	Kapila Theertham,Chandragiri Fort,	Kanipakam Srikalahasti and Talakona Falls are the populat Tirupati tourist places.Book a cab with RailYatri and head to pay a visit to Tirupati,right away. Online Outstation cab booking from Bengaluru(Bangalore) to Tirupati has never been so simple! At RailYatri, we provide travelers with a convenient way to book or rent outstation cab one way or round trip journeys through our travel app and website. 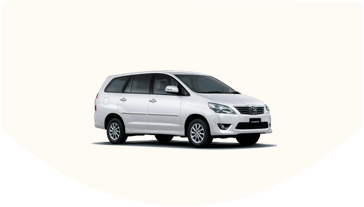 We offer industry best outstation cab charges for Bengaluru(Bangalore) to Tirupati. Our lowest fare on outstation cab coupled with online outstation cab booking offers(through discount coupons) help you to stay low on spending and high on comfort levels! So, what are you waiting for hire a cab for outstation form Bengaluru(Bangalore) to Tirupati and hit the road! Bengaluru(Bangalore) to Tirupati cabs cover a distance of 251 kms km during their end-to-end journey. 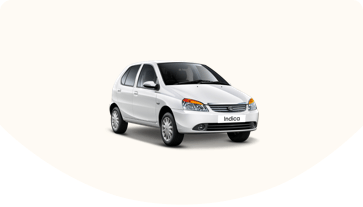 Prices of hiring cabs from Bengaluru(Bangalore) to Tirupati varies from INR 7006 to 3953. 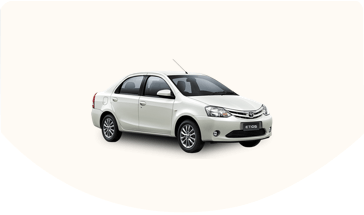 One can book different types of Bengaluru(Bangalore) to Tirupati cabs such as Compact, Sedan and SUV.